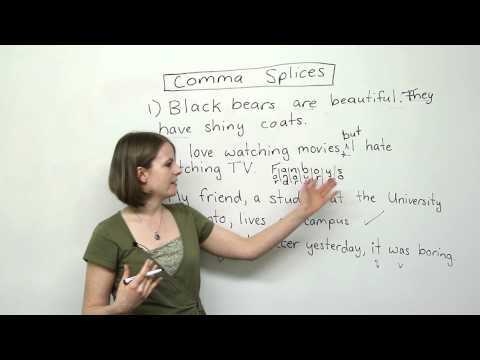 http://www.engvid.com/ Do you know what a comma splice is? Learn about one of the most common writing mistakes that students make and four easy ways to correct it. This free lesson will help you to become a better writer. You can also test yourself with the quiz at http://www.engvid.com/comma-splices/ !